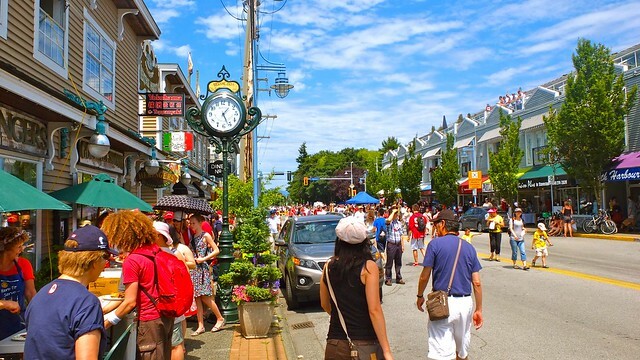 2013 Steveston Salmon Festival at Steveston Village in Richmond on Canada Day, July 1, 2013. Published in Vancouver Is Awesome. 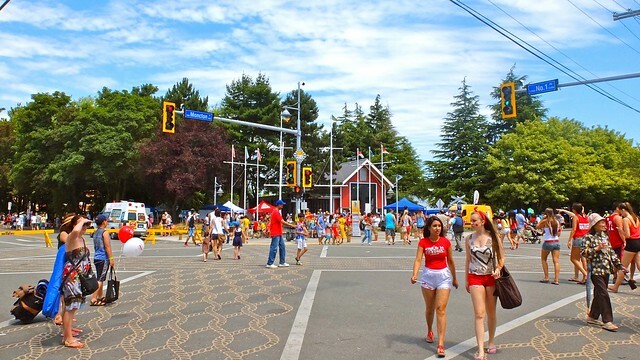 Celebrating Canada's 146th birthday in the fishing village town of Steveston with swaths of patrons heading to the Steveston Community Centre for some wood fire cooked sockeye salmon. Pedestrian scramble at No.1 Road and Moncton Street in the town's centre. 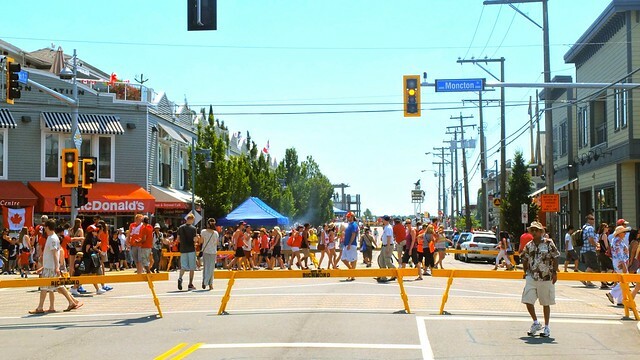 A closed off Moncton Street in the heart of Steveston Village heeding to walkers and foot traffic. 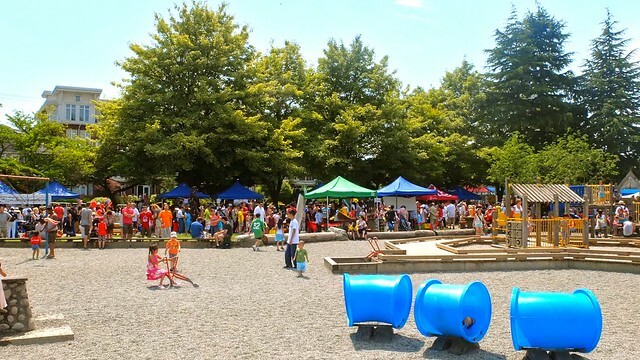 Playground love and seas of people and lines for festivities by Steveston Community Park. 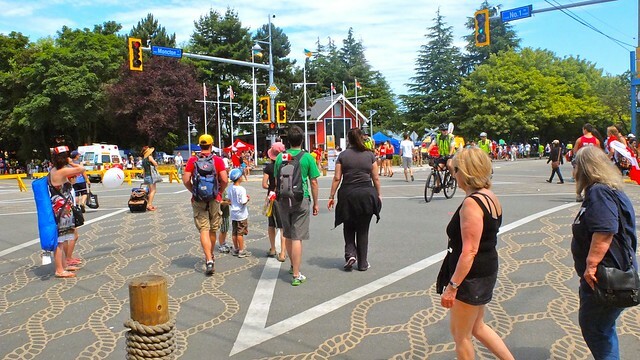 Folks scattering around and heading to the summer edition of the Steveston Farmers and Artisan Market.